1. Painted kitchen cabinetry | Instead of jumping on the white cabinetry trend, why not opt for statement-making blue cabinetry? I love how the kitchen in the Idea House managed to feel simultaneously fresh and bright thanks to the sleek white countertops (the butcher block on the island is a smart way to add warmth) and the bold blue base cabinetry. By painting the wall hung cabinetry white it helps to keep the space feeling light and bright. 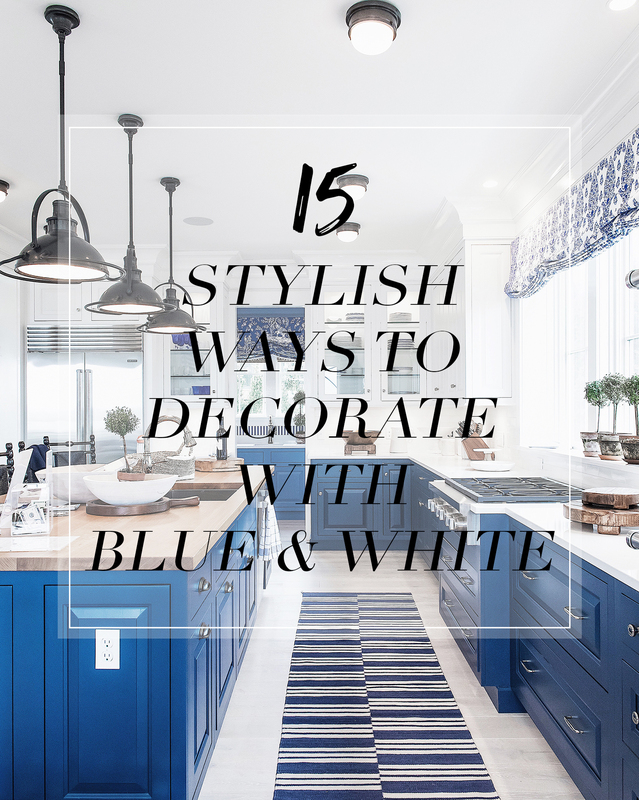 Get all 14 more ideas for decorating with blue and white after the jump! Absolutely love this post! These shots are so, so gorgeous and you captured a ton of great details that I didn’t even pick up on at the time. The design tips that you pointed out are also super helpful in illuminating why the whole house came together in such a wonderful way. Definitely going to incorporate some of these tips into my own decorating (but in pink and white, obvi :). Had the best time, I’m so glad we went! @Jackie – Yay! Thank youuuuu! I loved your post as well. It’s so fun to see what catches different people’s eye from the same space. That’s what I love about decor, it’s super personal. Can we, like, go to a showhouse every weekend please? Kthxbiiiii. Thanks for opening up the Coastal Living Idea House to us Will. What a beautiful design job by Mark and really interesting to read your take on the project. Have always used blue and white porcelain accent pieces in my home…to see the color theme carried throughout the house is just stunning. Great post…thanks again. @Harry – Of course, it was my pleasure. Thanks for stopping by, I’m so pleased you enjoyed it. Your accent pieces sound beautiful – and timeless, too. Will, The effort you put into your blog posts always impresses me. I don’t comment often but wanted you to know I appreciate you sharing all of this inspiration with us. I’ve been to countless showhouses over the years but this one looks unique to say the least. Great work, keep it up. @Peter – Oh, thank you! That’s so sweet. Yes, Mark’s designs were really something and the whole house was bursting with fresh ideas for this classic color palette. I loved it! Swooning over the master bedroom!!! Gorgeous! 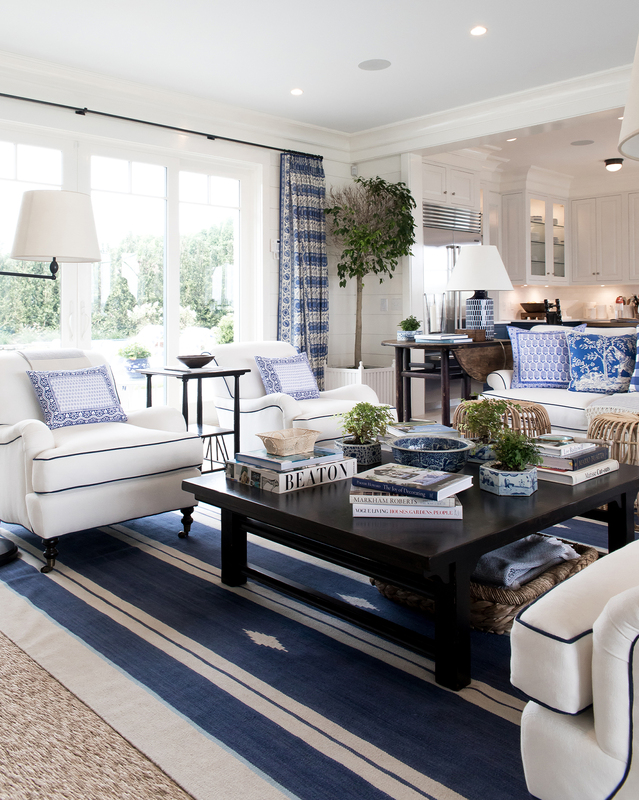 The blue and white theme can sometimes be overdone, and a bit stark, but these are all so inviting! Something about nautical themes too, always seems so warm and welcoming. Absolutely love each and every one of these! Thanks for sharing your insight! Hey Will! Question – where did you source that black and white photo of the station wagon pictured in the “group art in collections” recommendation? @Chris – Hey! 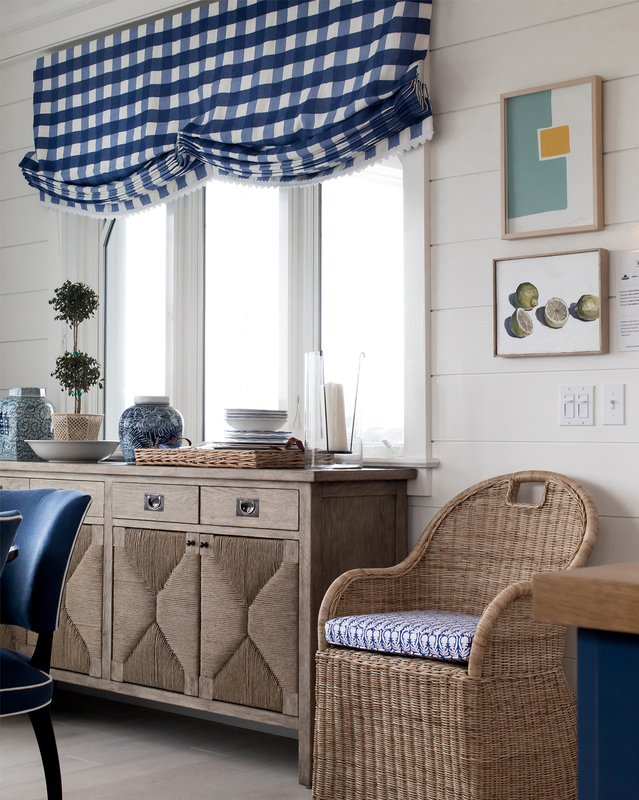 The space was designed by Mark Sikes for Coastal Living so I’m not sure, sorry! I love it too, though! Surprised at how well some of these have come together. You’d think that all the different patterns and contrasts would be too much for the eye, but if just works. 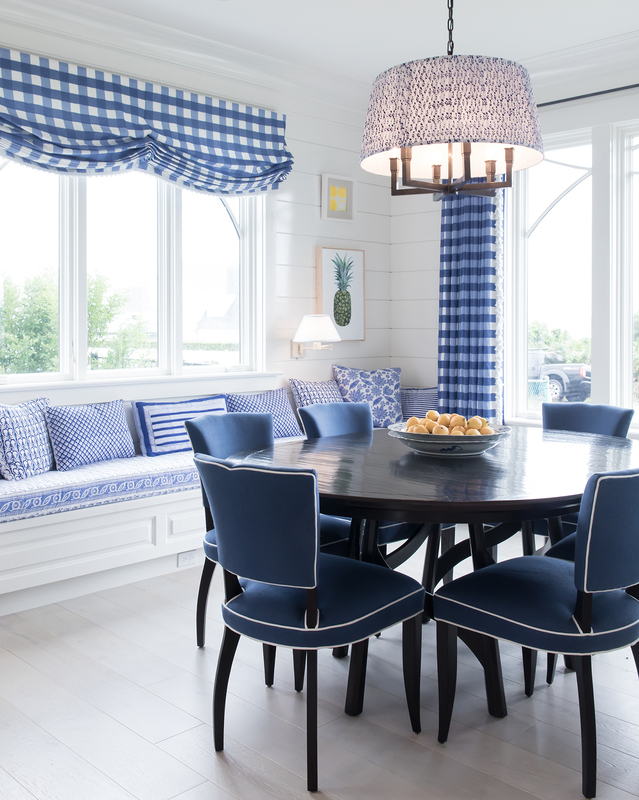 Great article and good advice on choosing contrasting patterns.